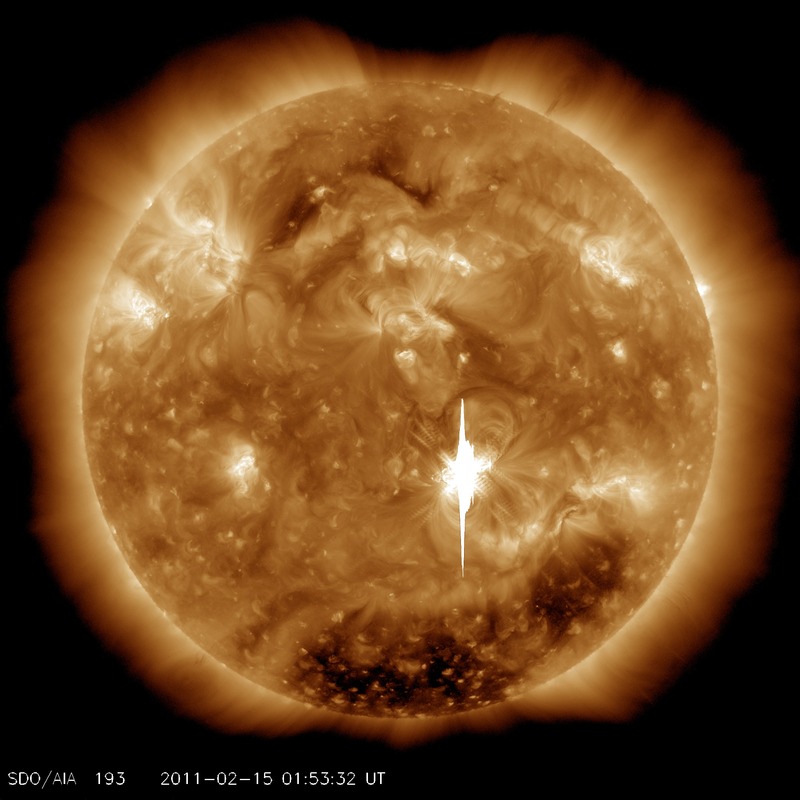 Explanation: On Valentine's Day (ET) the Sun unleased one of its most powerful explosions, an X-class flare. The blast was the largest so far in the new solar cycle. 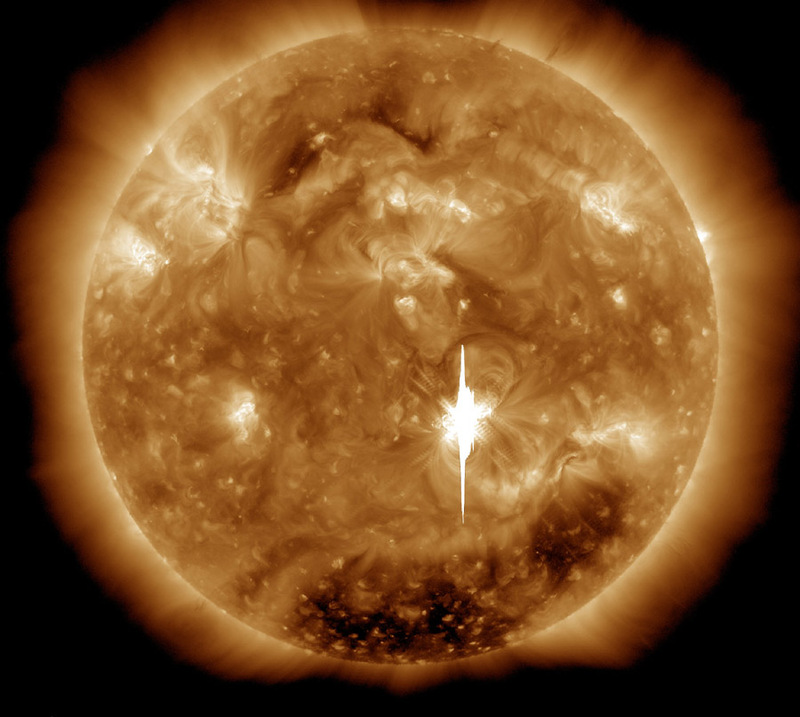 Erupting from active region AR1158 in the Sun's southern hemisphere, the flare is captured here in this extreme ultraviolet image from the Solar Dynamics Observatory (SDO). The intense burst of electromagnetic radiation momentarily overwhelmed pixels in SDO's detectors causing the bright vertical blemish. This X-class flare was also accompanied by a coronal mass ejection (CME), a massive cloud of charged particles traveling outward at nearly 900 kilometers per second. Skywatchers at high latitudes should be alert for aurorae tonight.